North Carolina A&T University continues its hold on the top spot as Southern University maintains the No. 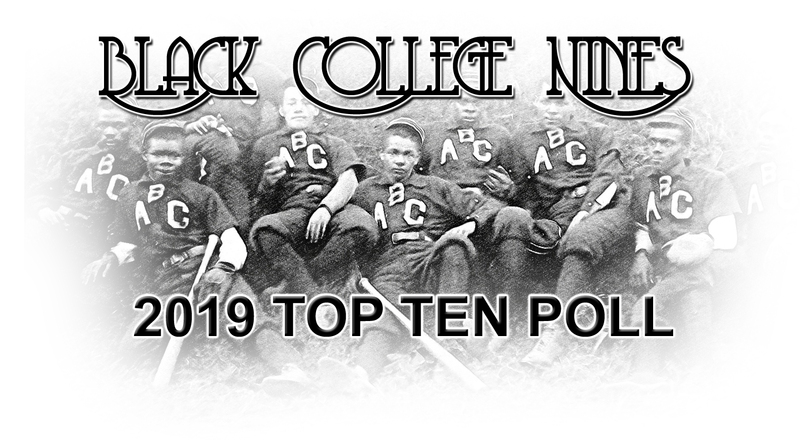 2 ranking in Historically Black College and University (HBCU) regular season Top 10 baseball poll in the large school division as announced by Black College Nines (BCN) on March 26, 2019. After the first regular season poll of March 12, there was major movement in week two. Coppin State moved up two spots to No. 3 and Alabama State fell one spot to No. 4. Grambling State moved up one spot to No. 5 to round out the top five. The remaining rankings saw Florida A&M vault three spots to No. 6 while previously unranked Norfolk State entere into the Top 10 for the first time this season in at No. 7. Bethune Cookman had occupied the four spot since the first poll, but they tumbled four spots to No. 8 followed by Jackson State, which climbed one spot to No. 9 and North Carolina Central dropped two spots to No. 10, rounding out the Top 10. In the small school division, made up of NCAA Division II schools as well as those in the NAIA and USCAA, Kentucky State, Winston Salem State and Jarvis Christian stayed put at numbers one through three. The rest of the small school poll includes Florida Memorial, up one spot to No. 4 and Claflin, which dropped one spot to No. 5. Selma holds in at No. 6. as Talladega falls one spot to No. 7. Two new teams entered the rankings for the first time this seasom. Virginia State in at No. 8 and Albany State winners of 9 of their last 10 ball games in at No. 9. Rounding out the remaining top 10, Benedict holds in at No. 10. Black College Nines HBCU Baseball Ranking Committee determines the Top 10 rankings for both large schools and small schools. Records indicated are through March 24. The Mid-Eastern Athletic Conference leads all conferences with 6 teams in the Top 10 while in the small school the Southern Intercollegiate Athletic Conference continues with four representatives. Note… the records shown for the past week are actually for the past two weeks which represents the time since the last poll. The voting committee is made up of an informed and impartial group of individuals who follow college baseball on all levels, including Historically Black Colleges and Universities (HBCU) baseball. Included in the group are college athletic administrators and educators, college baseball writers and other sports journalists and broadcasters, former HBCU and other college ballplayers and above all else… college baseball enthusiasts who have an interest in promoting HBCU baseball. As the college baseball season concludes, champions will be named in two divisions… the “large school” division will be composed of the 19 HBCU schools representing NCAA Division I and a “small school” division made up of the 31 HBCU schools with NCAA Division II, Division III, NAIA and independent status. The crowning of Black College Nines National Champions will be announced on Tuesday, May 21st, 2019 on the Black College Nines’ website, Twitter and Facebook pages.